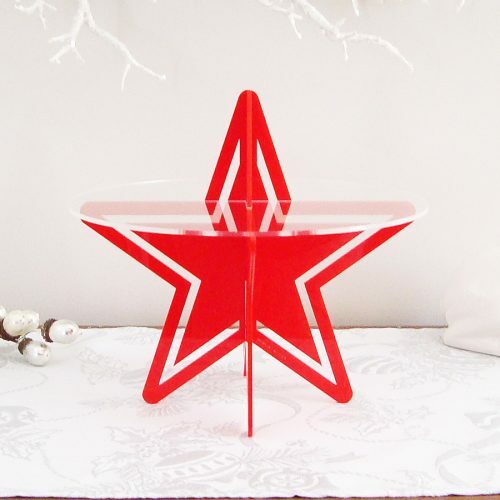 The big sister to our popular ‘Starry Night’ stand, this larger version allows for double the cupcakes. 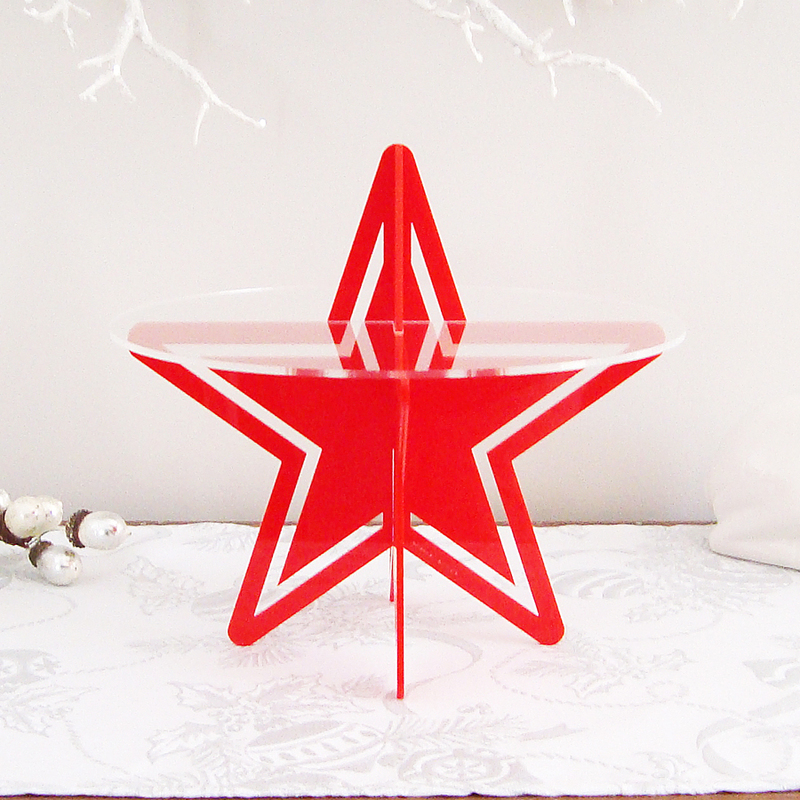 Remove the clear plate to use as a lone star- perfect for decorating in the holiday spirit! Product specifications: 3 mm acrylic; flat-pack design for convenience. Available in white, red, green and clear. Other colours available on request. Assembled dimensions: height 22 cm; width 23 cm; top plate diameter 24 cm.